The third annual Ali Week will take place in Muhammad Ali’s hometown of Louisville, Kentucky and to celebrate his worldwide impact and love for Louisville we are offering a 5-night holiday for two from 4th–10th June. The Ali Center is planning a wide array of events during Ali Week, including: a Stories of Ali event, a free Ali Film Festival, and a candlelight vigil plus much more. One lucky winner will receive return airfares for two to Louisville from London Heathrow, five-nights accommodation, a personal guided tour of ‘Ali’s Footsteps of Greatness’ led by a family friend, meet & greet with Mrs Lonnie Ali (Muhammad Ali’s wife), Think-In Cocktail Party hosted by Louisville Magazine, stories of Ali and Ali Film Festival plus admission to other iconic Louisville attractions, see our terms and conditions for the full list. Question: What was Muhammad Ali's original Louisville-related nickname? * By providing your email address you will automatically be signed up to the Deep South eNewsletter, but we will not pass your details on to any third party. To opt out please tick the box below. 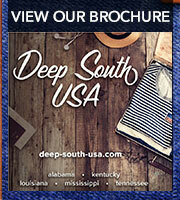 To enter simply send your name, email address and daytime telephone number via the www.deep-south-usa.com/ali-week-2019 website. Closing date for entries is 12:00pm 20th May 2019. The winner will be announced the same day. Entrants must be 21 years and over. Entrants must be residents of the UK. Air for two to Louisville from London Heathrow departing on 4th June 2019 and leaving Louisville on 9th June, returning to the UK on 10th June 2019. Flights are return economy seats and include taxes. Airport transfers are not included. Five nights accommodation in Louisville in one twin or double room. Breakfast is not included. Personal guided tour of “Ali’s Footsteps of Greatness” featuring personal landmarks in Ali’s hometown led by Muhammad Ali Center docent and/or Ali family friend. 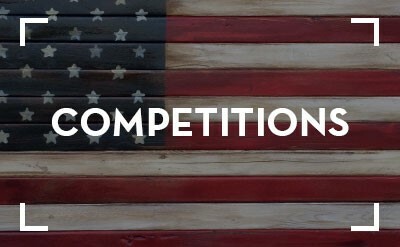 The winner must have a current valid UK passport and must abide by all US entry regulations such as ESTA. No cash alternative to the prize is available. Spending money, personal expenses and travel insurance are not included. The draw is not open to anyone associated with the promotion, either employees, families or agents.